After winning the Dutch title with PSV in 2015 as a club captain Georginio Wijnaldum was ready to move to one of the big leagues in Europe. Newcastle United paid a total amount of circa 20ME for Wijnaldum. Steve McClaren, the manager of Newcastle United, had tried before to buy Wijnaldum when he was the manager of FC Twente. 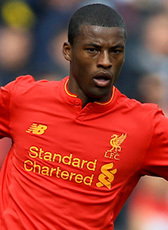 Although his club was in misery relegating at the end of the 2015-16 season, Wijnaldum was a star in the team and impressed with his game play in the Premier League. Liverpool showed big interests and signed the midfielder during summer 2016 for a 27,5ME fee on a 5-year deal.